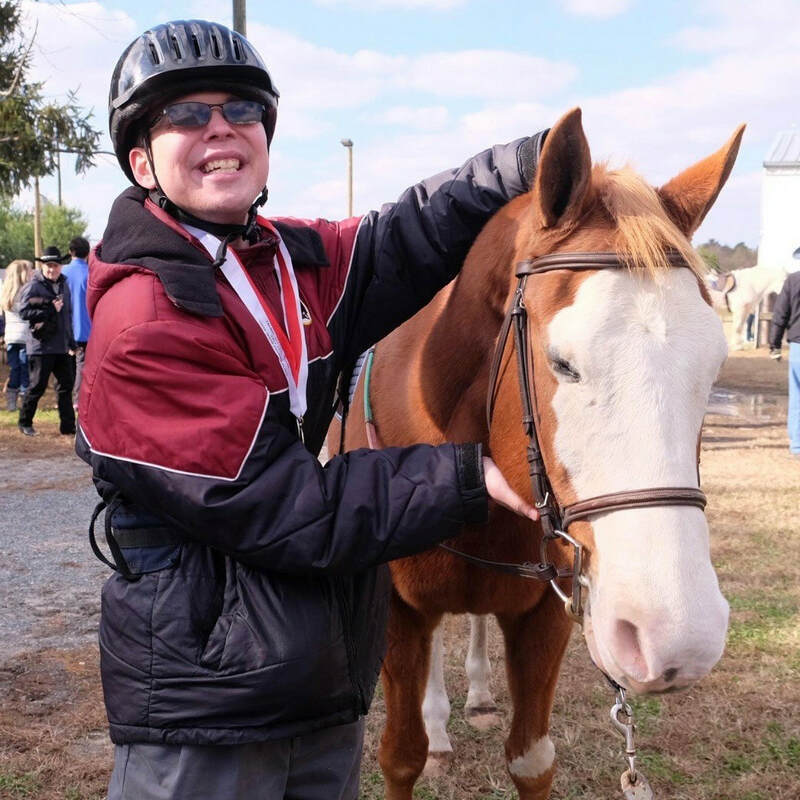 We strive to build confidence, self-esteem and a sense of accomplishment for individuals with physical, cognitive and emotional needs by utilizing equine-assisted activities and therapies. We have been providing these services to residents of the Eastern Shore since 1981. 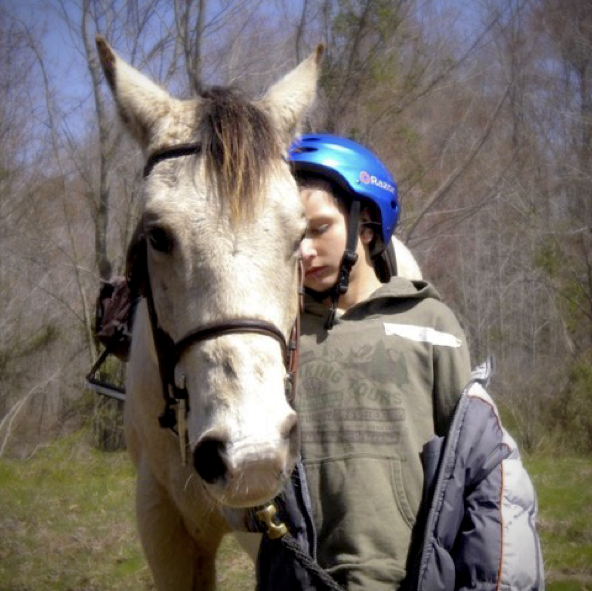 Our horses are the single most important part of our therapy programs. They work hard every day to help our riders achieve their goals. We are a member of the Professional Association of Therapeutic Horsemanship International (PATH) and adhere to their high standards for horse care. 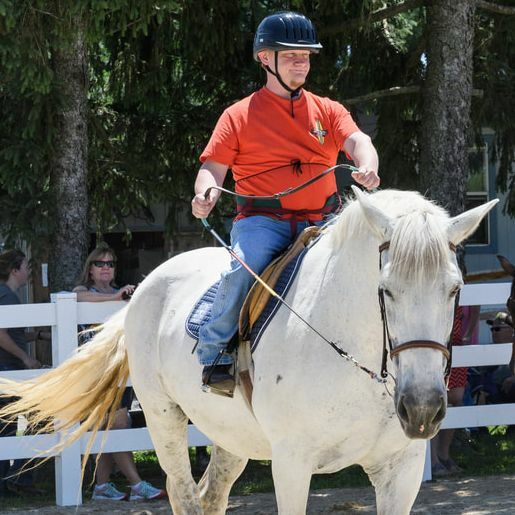 Between our staff and board members, we have several decades of horsemanship experience. 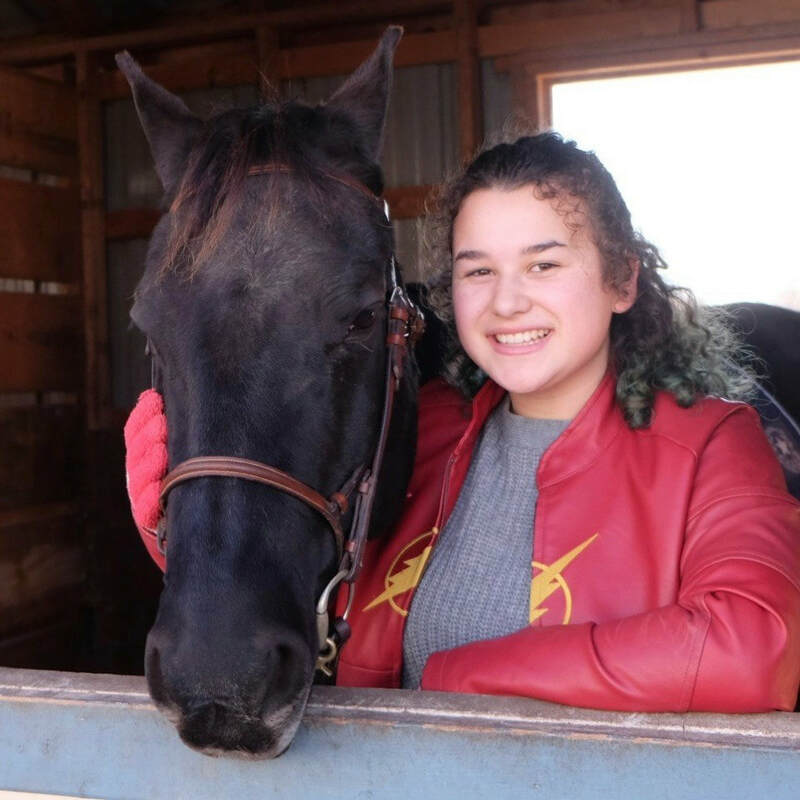 Bella is a 20-year-old Percheron who came to our program in 2016. We adopted her from Small and Tall Equine Rescue and Sanctuary in Salisbury. We are blessed to have Bella as a therapy horse. She always takes wonderful care of our riders. She's our ambassador and enjoys visiting with people in the community. Clacky is tall, dark and handsome! He came to us from our equine dentist whose daughter rode Clacky on trail rides when she was only seven years old. 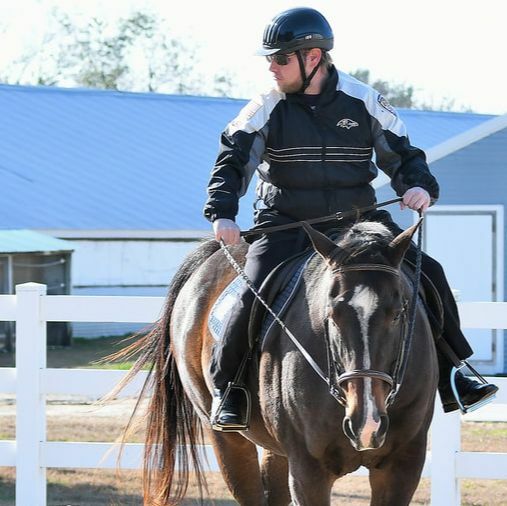 He has been used in other therapeutic riding programs and has great experience with riders who need extra care and patience. Lakota is a striking Buckskin Paint. She was a summer camp pony who was skin and bones when we found her at a Pennsylvania auction. 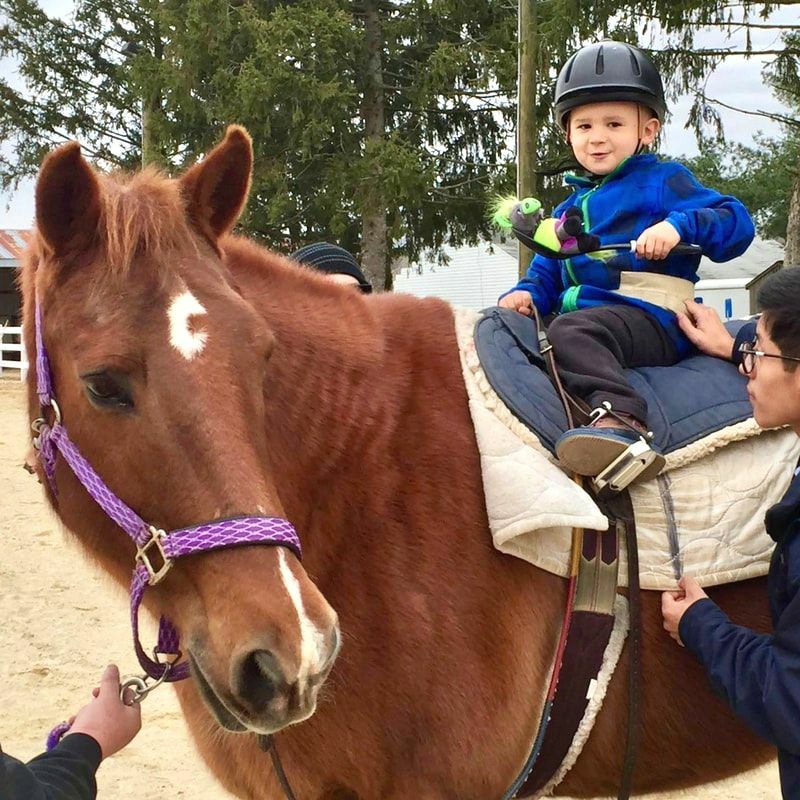 Lakota is unflappable and versatile enough to use with all our programs — Therapeutic Riding, Hippotherapy and Equine Facilitated Learning. Pumpkin is as sweet as pumpkin pie with a dollop of whip cream on top! He's a Quarter Horse in his early twenties. He came to us from a family where he was a guest horse for fox hunting. Pumpkin is very comfortable to ride and has a great personality. ​Reds loves to be groomed and will stand very still while being brushed and loved on. He's a chestnut Quarter Horse gelding who is in his mid-twenties. Before coming to us, he was a ranch horse and gave riding lessons. Reds is very gentle and loves people. Rudy is a Positive Strides' program favorite. He's a Quarter Horse in his mid-teens. In his younger years, he competed in barrel races and rode a lot of trails, including on the Gettysburg Battlefields. Rudy's definitely a lover, not a fighter. Positive Strides partners with many great organizations on the Eastern Shore who provide services, financial support, expertise, materials and more. Thank you to all of our partners! Every effort has been made to accurately acknowledge the organizations in our community who have invested in our events, programs and operations in 2018-2019. We apologize for any omissions or errors. If we need to make corrections to your listing, please call or email us. If you would like to partner with us, please complete this form and we will get back to you soon.